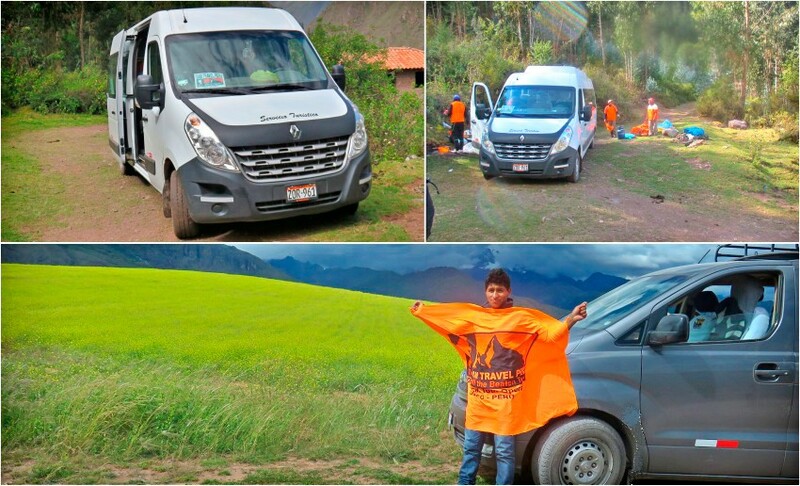 Our team (Guides, Cooks, Porters, Horsemen) and our equipment are what really makes SAM Travel Peru stand out from all of our competitors. Please take the time to look at the information on what we really offer you in comparison to our competitors! 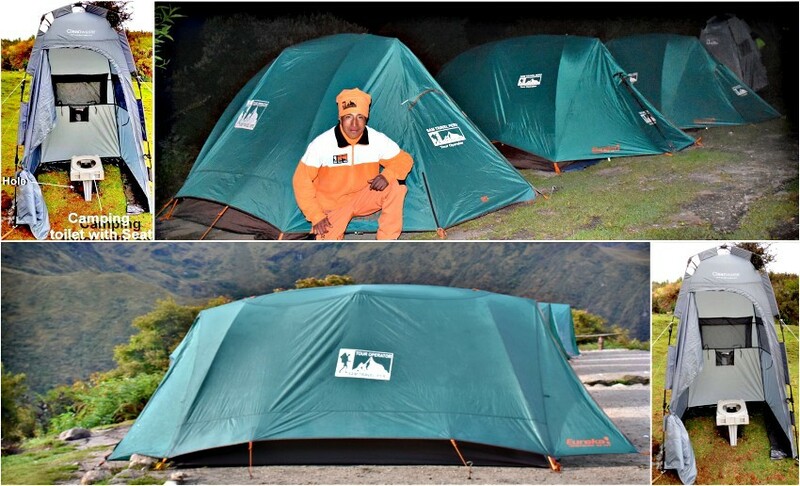 Enjoy a good night sleep in our 4 season igloo waterproof, spacious and professional EUREKA tent. All our tents are 4 man tents. 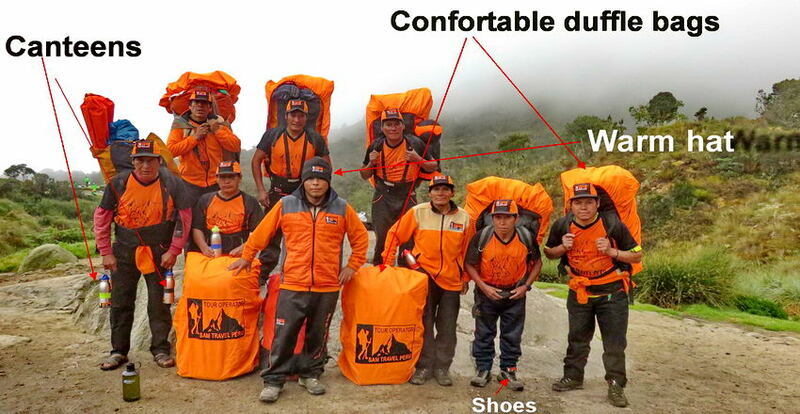 ONLY 2 persons will sleep in them, leaving lots of room to spread out comfortably and store your duffel bag. They also include a little vestibule in front, giving you some extra outdoor space to leave your boots and walking poles so you don’t have to bring the dirt inside. Thick Foam Mattresses are included to separate and insulate you from the ground. We are proud to be the only company providing thick foam mattresses for FREE to all of our clients. Our Therma Rest Air Mattresses can be rented to add additional comfort! 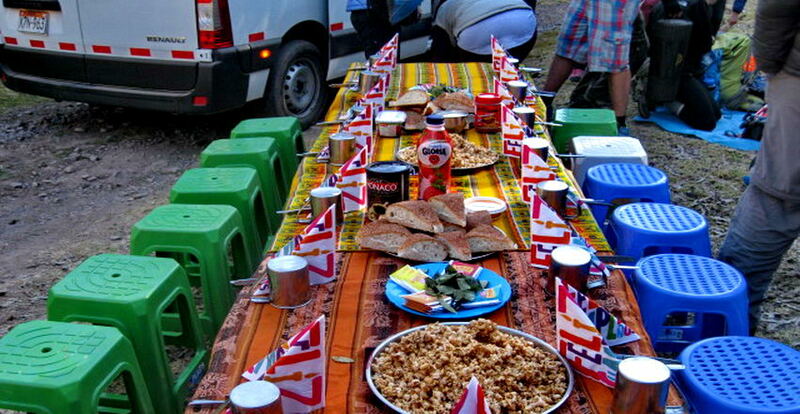 The dining tent is used as our room to get together such as meal or tea time; and it gives us a chance to sit down, relax and chat before and after our meals. The interior of the dining room includes tables and chairs with two doors on each side, which will be adapted according to the day’s conditions (sunny days, windy days and rainy days). We use late model vehicles for reliability and safety. Our drivers are fully licenced and very professional. It has been highlighted by most of our clients, especially by our female trekkers, who want a private, clean and sanitary toilet!! 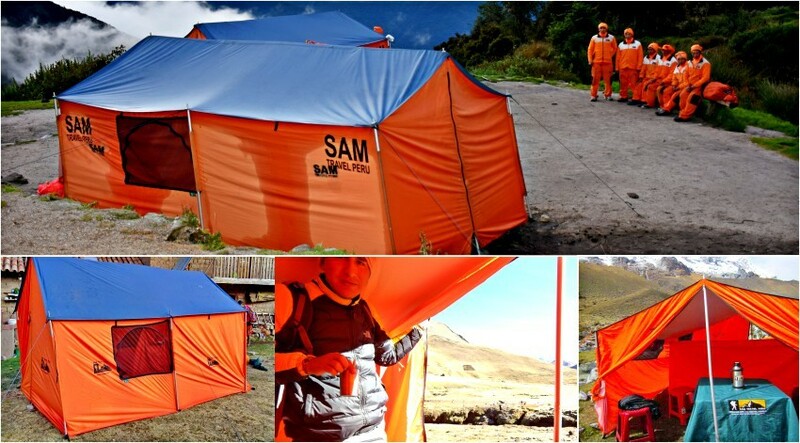 SAM Travel Peru toilet facilities have an individual tent and a “camping toilet with a seat.” Check out the picture below which illustrates how we set up our camping toilet on the trek. Our toilet is always set up a comfortable distance from our campsite. At night if you need to use the toilet it is readily accessible and clean, unlike the dirty facilities supplied by the government. We protect our environment by using Responsible and Sustainable facilities. We make a hole 30 cm deep under the seat and the “POOP” goes right in. 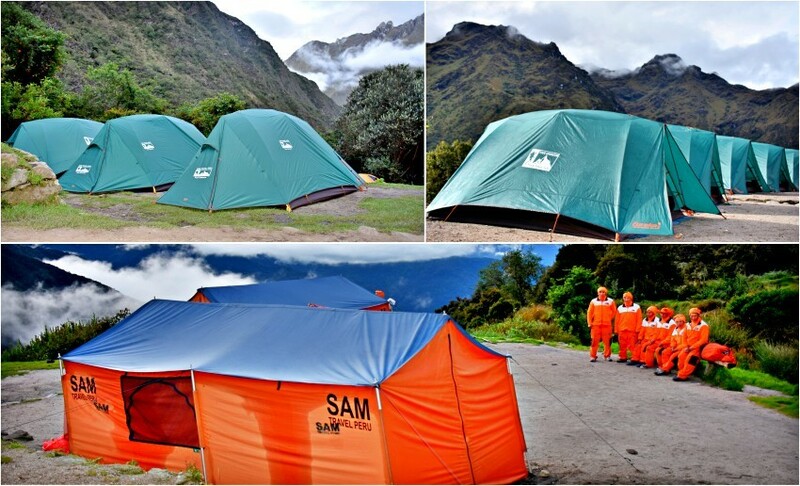 At the end of our stay we will fill it in without creating any contamination to the environment, SAM Travel Peru will NOT use any chemicals which contaminates the environment. We do NOT put the “POOP” into plastics or biodegradable plastics, because they are still distructive to our environment and we really care about protecting our earth. We protect our crew with our toilet procedures. They will not have to be touching the “POOP” because it is in the hole. 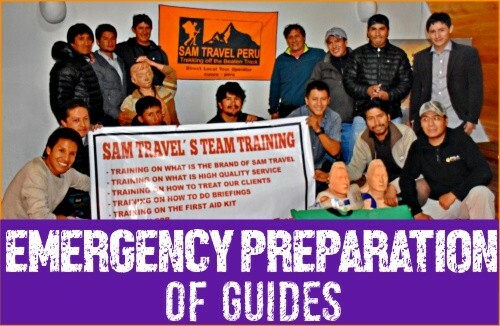 We really care about protecting our team (guides, porters, cook) Our TEAM is what really makes SAM Travel Peru stand out from all of the other competitors. TIPS: Please always take your own toilet paper with you and put it into the plastic bag provided! 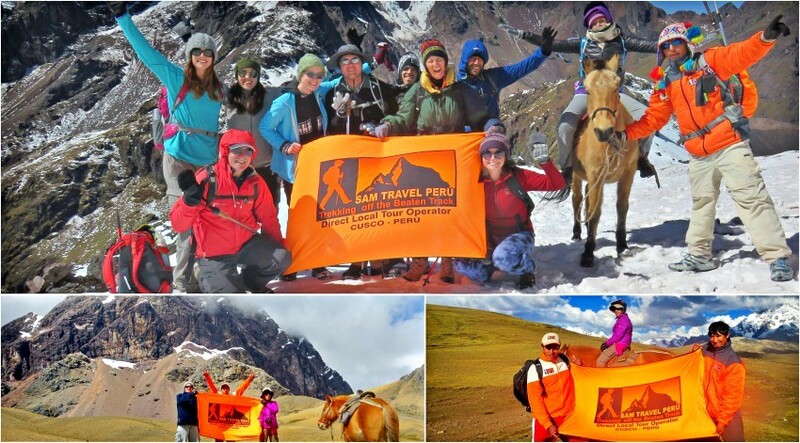 Hiking the Inca Trail or other alternative treks with SAM Travel Peru Travel is a life changing experience, fully portered trek where your comfort and enjoyment are our first priority. 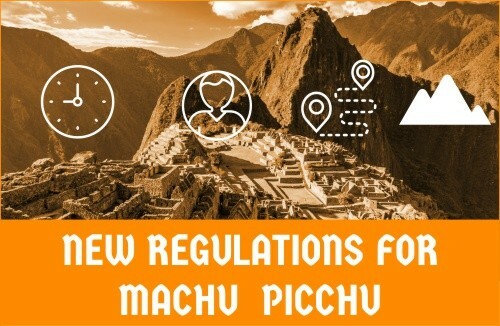 We make sure that you get the best experience of your holidays in Peru while you interact with locals, explore fantastic sites and re-discover remote ancient Inca towns and buildings, speaking some Quechua words and learning the fascinating Inka history. 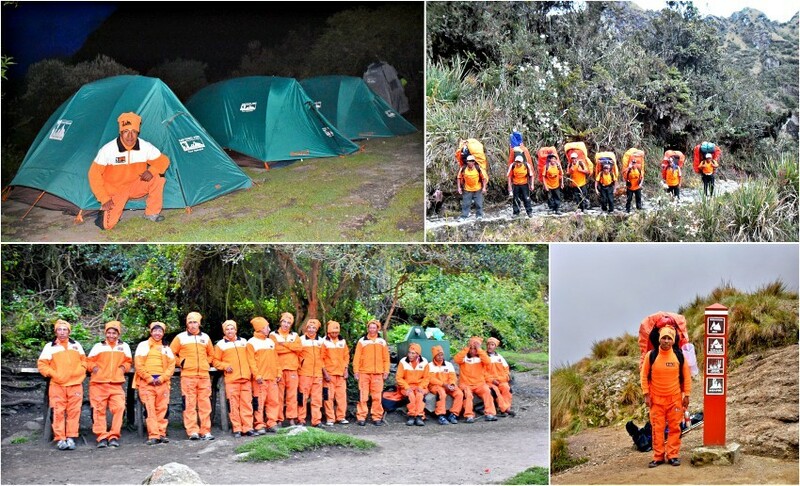 Immerse yourself in the stunning landscape and simply feel the magic of Mother Nature (Pachamama) and the Andes, while we carry your gear, prepare your meals, set up your tents avoiding crowded campsites while you sit back and relax. Available for some treks only in case of emergenices!